If you’re a business owner and you’re not thinking of the security of your business, you could be putting your business at risk for a number of different threats, both internally and externally. Here at Beyond Tech Solutions, we care about the security of your business, and we believe that the best way to protect against security threats is with the use of surveillance systems. In our previous post, we began a list of the top ways you can use a surveillance system to secure your business, and today, we will finish our list. If you’d like to learn more about how we can help you with your surveillance system needs in Fresno and the surrounding areas, contact us today. #6. Monitor employee behavior and work performance. While trust is an integral part of any workplace, surveillance cameras can be beneficial when you need to monitor certain activities or if you are suspicious of certain behaviors. The footage from surveillance systems can provide valuable insight for training tutorials on how to perform certain jobs, as well as to keep an eye on employees to see if they are performing their jobs in the specified terms, which are in-line with safety requirements and company protocol. Surveillance systems can also help to reduce inappropriate work behavior and increase productivity. #7. Monitor after-hours maintenance and cleaning crews. If you have after-hours employees on your business’ premises, it’s not a bad idea to have a surveillance system in place to ensure that they are doing their jobs in the way in which you have requested. If you have asked that the floors get vacuumed and the shelves get dusted daily, surveillance footage will be able to help you ensure that certain tasks are not getting skipped or put off for another day. Surveillance systems can also help you to keep an eye on any suspicious activity by after-hours workers. #8. Monitor loading docks and delivery zones. Loading docks can provide burglars with the perfect entrance that may not be properly monitored while trucks are being unloaded or deliveries are being made. Loading docks are a great place to be able to install a surveillance camera and keep track of the number of shipments you have coming in and going out, and to ensure that everything goes according to plan. #9. Monitor your front door entrance. If you have a front entrance that is locked on a regular basis and people have to enter either via keycard or a buzz-in system, a surveillance system can keep track of the people who are being let in through the entrance. This can be particularly beneficial for when keycards are scanned after hours, or if you can’t see the front entrance from where you are buzzing people in. #10. 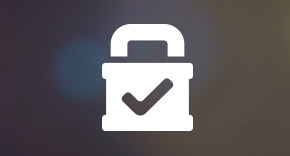 Protect your company’s bottom line. Having a surveillance system installed at your place of business can protect your business in various ways, however, one of the most important ways that it can protect your business is by saving you money from all of the potential threats that it can deter. Businesses with surveillance systems also tend to save on insurance premiums due to all of the ways in which your business is deterring unwanted activities. This, overall, will protect your company’s bottom line. 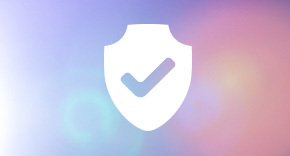 Your place of business needs protecting. 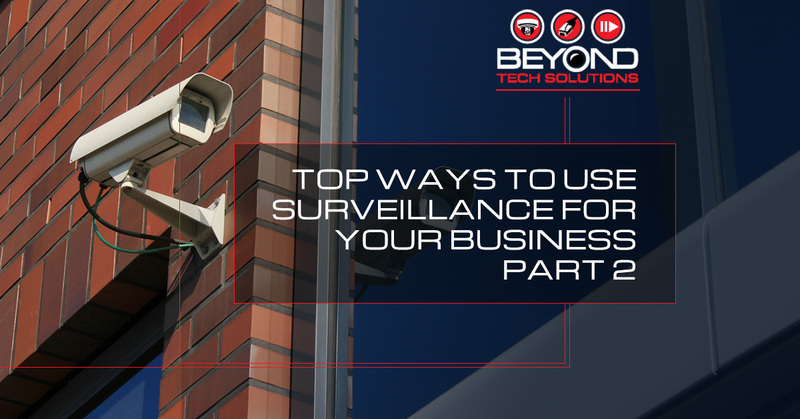 Here at Beyond Tech Solutions, we can offer you the surveillance system you need to ensure your facility or office is protected at all times. 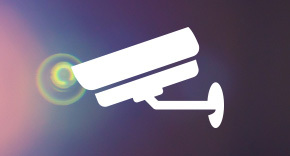 We can work with any business, large or small, to determine the security system that will meet all of your needs. Whether you only need a few security cameras or if you’d benefit from an entire security system that consists of security cameras, access control systems, and a burglar alarm system, we will tailor our services to get you properly equipped. 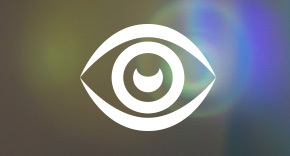 For all of your surveillance system needs in Fresno, call Beyond Tech Solutions today. We are also happy to provide our services in other areas of California, ranging from Sacramento down to Palm Desert. Beyond Tech Solutions offers only the best in installations and maintenance, so we promise you’ll be satisfied with your security system results. We look forward to working with you.